Support the RASC Robotic Telescope Project ! The Royal Astronomical Society of Canada is celebrating it’s 150th anniversary with a campaign to develop and operate a robotic telescope located at a pristine, dark-sky site with excellent observing conditions. Image courtesy of Deep Sky Instruments. Join us on our mission to enhance understanding of and inspire curiosity about the Universe, through public outreach, education, and support for astronomical research. Through partnerships, sponsorships, and donations, we will create a way for people of all ages to learn more about the night sky. It will permit teams to access a research-grade telescope. The project will support public education, outreach, research, and astro-imaging. Come with us on our journey to the stars. Be the fuel that propels us forward with a donation. Click the links to the left to learn about the Origins of the project and more. 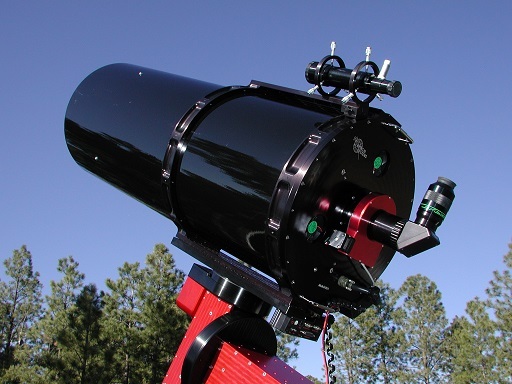 We thank Deep Sky Instruments, owners of RC Optical Systems, for permission to use the telescope photo shown above.